Where should a story end? From Kill Zone Blog: a pretty good question. Where should a story end? When should you stop? Or, from a reader’s point of view, did the author stop in the right place? I think Ilona Andrews stopped in the right place for their Kate Daniels series. I love series; at least, if the quality of the individual books stays high, I keep loving the series. But they took Kate, and her relationship with Curran, and her relationship with her father, and all that, through an arc that had a pretty clear ending point, and when they came to the end, they stopped. Maybe the way they tied off the thing with Roland was a little pat? I could see that might have been a little pat. Roland was pretty evil, if by “pretty evil” you actually mean “terrible, vile person.” But sure, whatever, my point is, Magic Triumphs was a good ending. Loved this book. Didn’t love the ending; or rather, if the book had ended at the right place, I don’t believe Kay would’ve needed to include such a long epilogue. I say this as someone who (nearly) always loves epilogues, practically the longer the better. This epilogue felt to me very much like Kay didn’t feel he could take the time or the space to tie up the story properly, so he wrote that epilogue. I didn’t find it satisfying because I want an epilogue to show me what happened after the story ended, not take the place of the ending. This year, the single book that most felt like it ended in the wrong place was the third book of Gilman’s Devil’s West trilogy, Red Waters Rising. I loved the first book, liked the second book a lot, and felt like this one didn’t end the trilogy properly. There were several things I would have liked to happen that just didn’t: the relationship between the Isobel and Gabriel remained completely unresolved. I did not want a romance, but I did want a sense of resolution that I felt was lacking. The relationship between each main character and her or his magical connection to the land also remained unresolved. And most of all I really wanted Isobel to come full circle by returning to Flood. I wanted her to come face to face with her past, especially with the Devil, and for some sort of resolution to tie up that part of her life. Didn’t happen. To me, it seemed that the story ended too early and literally in the wrong place. Perhaps there will be a fourth book after the Gabriel novella; I don’t know. In my own current untitled WIP (the obsessive one), I kind of have two endings. This feels rather repetitive, so that has to change. Yet I know I have to have both scenes. The first is logically unavoidable, plus it has some great stuff in it. Yet if I cut the second ending, the story will have ended too soon and a certain kind of resolution will be lacking. I can’t let that happen. The real problem will be dialing back the feeling of repetition. I think I might have some notion how to do that, but I won’t really know until I finish this revision (very soon, I hope). If I do it right, then readers — at least most readers — will feel that the book ended exactly when and where it needed to. 3 Comments → Where should a story end? I agree that Magic Triumphs ended in a good place… and since they are continuing with the Iron and Magic trilogy, we won’t lose sight of those characters completely. A few years ago I read a book that I really felt ended in the wrong place: Territory by Emma Bull. It’s a fantasy western set before the shootout at the O.K. Corral. Almost nothing is resolved at the end of that book. I was sure that there would be a sequel to tie everything up, but ten years later no sequels have appeared. It’s a shame, because I really enjoyed the story. Kathryn, OH YES TERRITORY. I was actually shocked when I found out it was supposed to be a standalone, and still have a hard time believing that; it absolutely reads like the first half of a story. 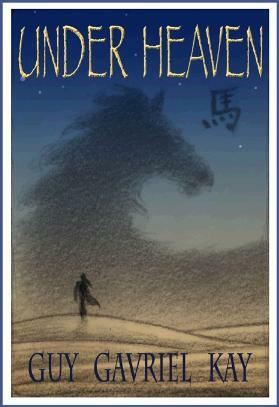 The only book that’s worse is Robin McKinley’s Pegasus, and there at least the book was not *intended* to be a standalone. 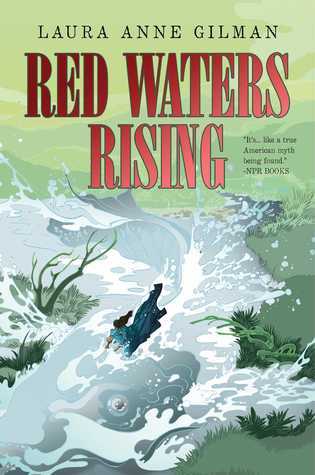 I just finished reading Red Waters Rising, and I have to agree with you. I can’t say I thought much of the story either. It had good elements, but it felt repetitive (the characters’ concerns get spelled out over and over) and unnecessarily drawn out. Which was disappointing, since I remember the previous two were quite good. I’m sure you’ll smooth out your two endings perfectly.